This is another blog post in a new series where we talk to SIMULIA employees about current projects they are working on and developments they see in the simulation world. Recently, we talked to Carlos Vicente, a Senior Technical Sales Manager for Aurorasat, part of SIMULIA, about particle-based simulation in the aerospace industry and the new developments being made. 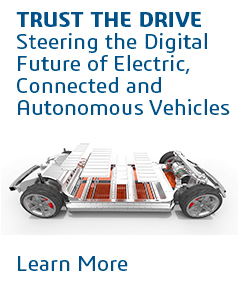 Check out all of our SIMULIA Talks interviews, here. Who are you and what is your role in the company? 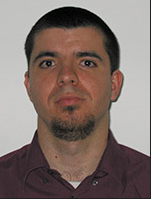 My name is Carlos Vicente and I am the Market Development Manager for Particle Dynamics applications at SIMULIA. I am also a Technical Sales Manager at Aurorasat, taking care of product planning and technical support and sales for two main software tools: Spark3D (for RF breakdown analysis) and Fest3D (for EM modal analysis). Which developments are you most excited about in the aerospace industry? The number of applications such as space-based TV, telecommunications, navigation, global internet provision, earth observation, etc. that require high power microwave tubes continues to grow. Due to the overall increase of power needs in high-throughput satellites, the risk of RF Breakdown has also risen. This creates design challenges for different types of microwave passive components, especially narrowband filters. On top of this, I think that additive manufacturing has emerged as a disruptive technology able to drastically improve the existing designs while enabling new concepts. Also, very high power klystron tubes are typically required by the deep space network in order to characterize celestial objects in our solar system or to allow communication with distant spacecrafts. Our particle solvers enable the design of the tubes, with electromagnetic simulation playing an important role in component development. 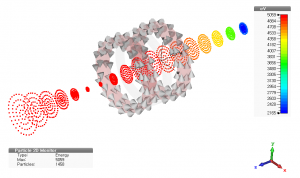 How is electromagnetic and particle-based simulation playing a role in those developments? Previous generations of aerospace industry developments have been implemented by using successive hardware prototypes in which design problems could be detected and corrected. This was mainly because components such as vacuum tubes, magnetrons and gyrotrons were extremely complex to analyze and computing technology was not ready to provide an efficient and accurate solution. Nowadays, thanks to both the continuous development of software solutions and the improvement of hardware performance, prototyping in the design chain is increasingly being replaced by software simulations. So thanks to the integration of software solutions into the complete design cycle, new developments are no longer being hampered by slow and costly prototyping processes. 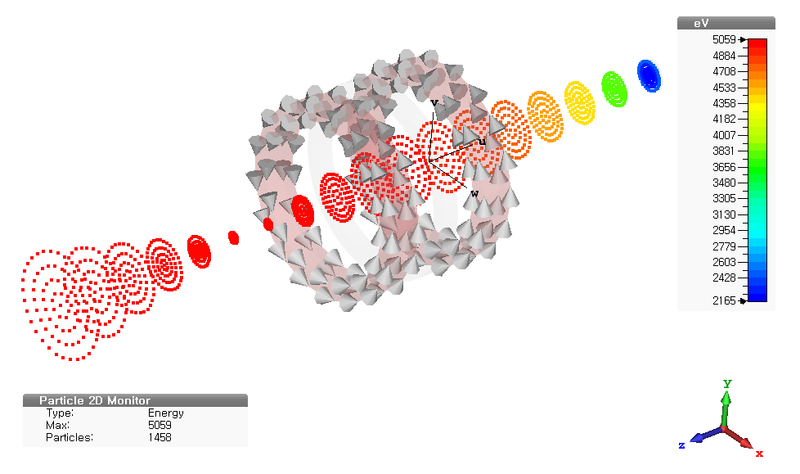 Software solutions required to design devices for particle dynamics applications need to cover a wide range of physics. 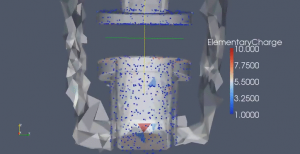 This encompasses not only electromagnetic (EM) analysis but also particle tracking-based analysis, together with other multiphysics aspects such as thermal and mechanical simulations. As CST Studio Suite offers all these capabilities integrated into the same environment, it means that simulation can be a straightforward process. There is now the added benefit of Power’By 3DEXPERIENCE, which provides software solutions that allow collaboration at multiphysics and multiscale level. Where do you think electromagnetic simulation can provide a benefit where it hasn’t been adopted widely yet? Electromagnetic simulation still has a lot to offer to the additive manufacturing sector since the new custom geometries this technology allows require complex simulation capabilities. In general, I think that simulation is unlocking a lot of potential in the design of particle-wave interaction based devices (such as tubes, magnetrons, etc.). These used to pose a challenge as their sizes lead to extreme computational complexity, but within CST Studio Suite we are overcoming these limitations by the implementation of advanced numerical algorithms combined with the efficient use of computer hardware (e.g. GPU parallelization). In the area of RF Breakdown, simulation offers new analysis opportunities where sophisticated signals, such as those involving modulation, are used. This can be of critical relevance in modern systems where the increasing demand of data-throughput results in the need for higher power levels. 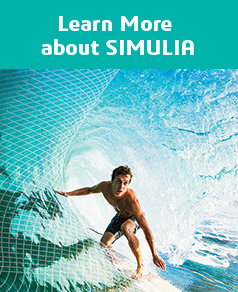 The SIMULIA Learning Community is the place to find the latest resources for SIMULIA software and to collaborate with other users. Membership is FREE and all you need to sign up is an email address. Dr. Carlos Vicente currently serves as Senior Technical Sales Manager for Aurorasat, part of SIMULIA, a Dassault Systémes brand. Dr. Vicente received his Ph.D. in telecommunications engineering in 2005 from the Technical University of Darmstadt, Germany. In his doctoral thesis, Dr. Vicente researched high power effects in communications satellites such as RF breakdown and passive intermodulation. In 2006, he co-founded the company Aurora Software and Testing S. L. (Aurorasat).